I am very very grumpy without some coffee and breakfast in the mornings. 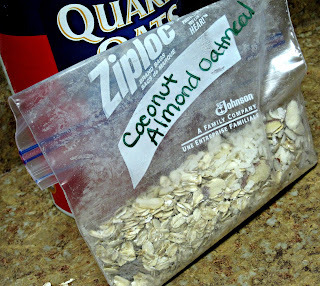 Now that school is back in and my mornings are a bit more rushed I need to be sure that I have a grab-n-go breakfast handy. Oatmeal is so awesome. 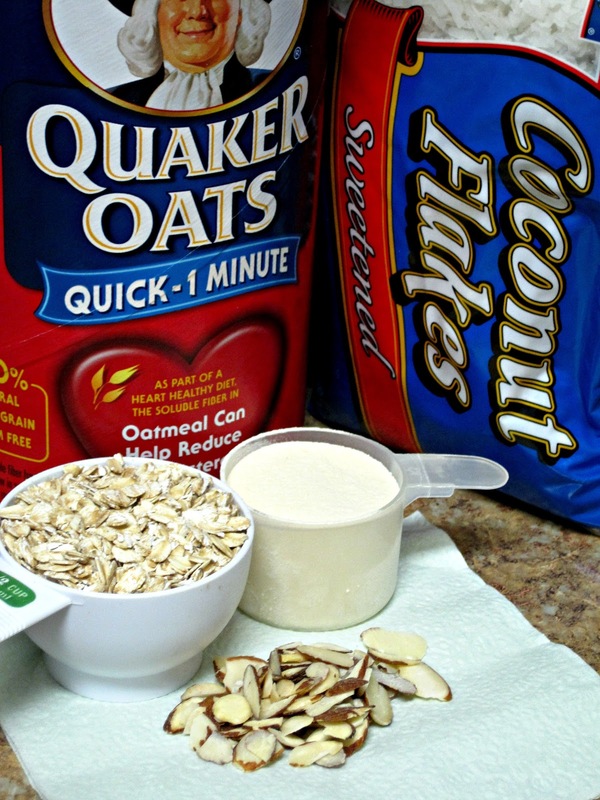 Oats are a whole grain, they're heart healthy, full of fiber, and mmm mmm tasty to boot. 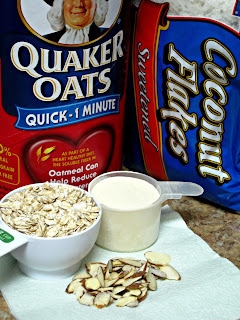 I have been making my own oatmeal from the tub for a couple years now and stay far far away from the packets. 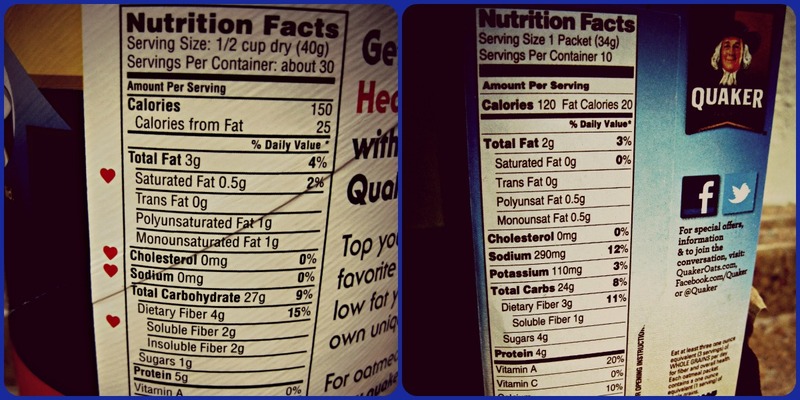 I have found that there are so many more flavor options if you make it yourself using quick cooking oats, and you can control things like protein, calories and sugar! 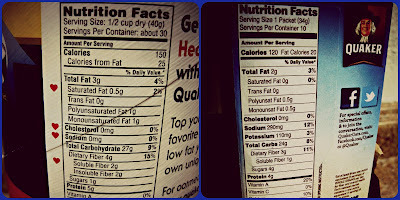 Comparing the Nutrition Info, the tub of oats wins! I've made my own oatmeal packets that I can take to work and either add milk or water, zap in the microwave and eat before I see my first kids in the morning. They're yummy, filling, and so incredibly cheap and easy to make. (the packets, not the kids!) It really just takes 10mins of your time to make enough packs for the week! I'll add 1/3 to 1/2 cup of milk or water and zap in the microwave for a couple mins and I'm good to go! The flavor options are endless!!!! I am hoping that life gets less craaaazy by next week- this first week of school so far has just been non-stop!